You have been on social media sites like Facebook and Twitter for a few years now, and you love posting fun little anecdotes and photos about your life, work, and beloved kitties. In fact, you like being on social media so much, you think it might have started to rub off on your cats—as soon as they see you sit down at your computer they hop up on the desk and try to lie down on the keyboard. Well, clearly your cats are telling you they want their own social media pages. While some of your non-animal-loving acquaintances—like the co-worker who made fun of you for bringing in a family portrait of you and your fur babies—might scoff at the idea of your kitties having their own Facebook or Instagram, you have noticed several other pages devoted to your friends’ four-legged friends. The following tips can help you get your cats involved in social media in a fun and entertaining way. It makes a lot of sense to create a separate social media page for your pets, says TechHive. For example, if you want to post dozens of adorable photos of your kitties batting at scrunched up pieces of paper, you can do it without taking up tons of room on your own page. 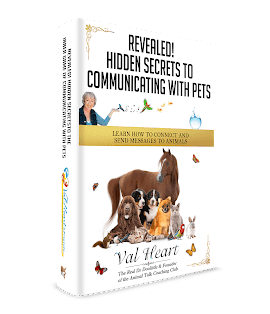 Plus, your friends and family members who want to stay up to date with whatever your kitties are doing can become friends with your cats, and then have exclusive access to their updates. Although it’s purr-fectly fine to create a social media page for your kitties just to have a place to post photos and stories about them, you can also take it a step further and use it as an opportunity to tell their back story. For example, in the “About” section on Facebook, you can add a short but sweet description of who they are and where they came from. Something like “I’m Felix, after Mr. Unger, not The Cat. Tuna is my life.” Create a fun way of sharing more about your cats and who they are. In addition, if they have their own pages, you can “ghost write” posts by your kitties that describe the perils and adventures of their day. Doing this on your own page would probably confuse your friends and family, who might be wondering why you are pining away for some organically grown catnip. The experts at Catster say that the more quirks, interests and personality traits you can infuse into your cats’ social media pages, the more likely it will be to attract the attention of not only your immediate circle of friends, but others who will enjoy reading about your precious pets. Separate social media accounts for your cats, as explained by Social Media Satisfied, gives you the opportunity to meet others who love kitties as much as you do. You might be able to connect—at least online—and share stories about your beloved pets with people who you know “get” you and your feelings. Although just about any social media site will give you the opportunity to introduce your cats to the online world, Facebook and Instagram are really good places to start. Facebook is best for posting funny stories and observations, while Instagram is ideal for glamour shots of your favorite felines. If you don’t have a fancy digital SLR camera, you can just use your smartphone camera (which makes uploading simpler); however, keep in mind that in just the past few years, the quality of phone cameras has increased significantly and Instagram users expect high quality photos. A super high-res smartphone camera will capture (cat-ure!) the awesome photos that gain followers, so if you’re still using a first generation iPhone, it’s about time you upgrade. Do it for your cat.